OYSTER BAY, N.Y. (March 21, 2019) – Oakcliff Sailing has joined forces with US Sailing to host a High Performance Acorn Training Camp for aspiring Olympic athletes. It will take place June 7-20, 2019 at Oakcliff’s facilities in Oyster Bay, New York. 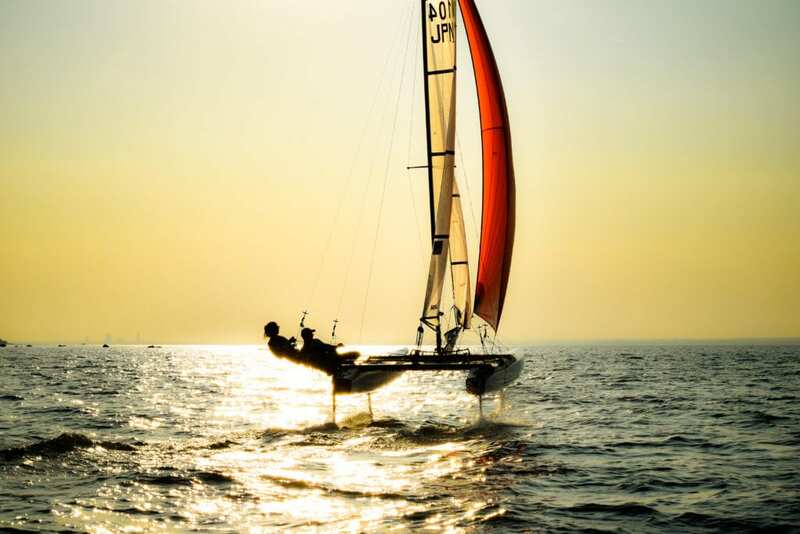 In partnership with US Sailing’s Olympic Development Program (ODP), this camp will draw the top sailors from across America to train in Oakcliff’s fleet of six foiling Nacra 17s and nineteen 49ers and 49erFXs. The camp will provide the perfect platform for talented, young sailors to step up from the Youth World classes into Olympic classes. Read the full release or apply for the camp. It will also be a great mentoring and training opportunity for sailors who are already campaigning in an Olympic class. Coaching will be provided by the ODP with support from Quantum Racing experts. 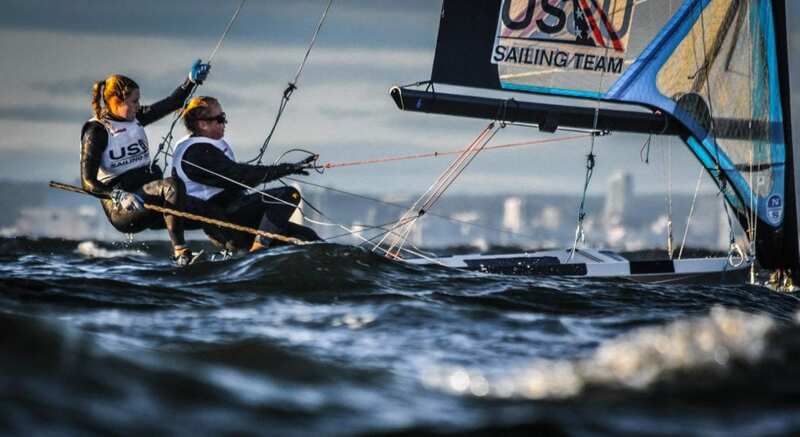 US Sailing’s ODP has experienced success over the past several years at major events around the world. At the 2018 Youth World Championships, U.S. sailors won five medals, four of which were gold. As a result, the U.S. brought home the Nations Trophy, which is awarded to the most decorated country at the event. The U.S. now holds the record for most medals and most gold medals won at the event. Oakcliff has been making notable contributions to U.S. Olympic Sailing by awarding up to $500,000 dollars in prize grants, annually, to Olympic hopefuls through the groundbreaking Oakcliff Triple Crown Series. Together, the two organizations plan to make big strides forward in raising the bar for the United States in Olympic sailing. 2018 High Performance Acorns Marc Bouchet and Sydney Monahan go for a nice rip on the Nacra 17 in Long Island Sound. Historically, the efforts and goals of US Sailing’s ODP camps and Oakcliff’s Acorn programs have shared similarities. The Acorn programs offer specialized training in various disciplines including offshore racing, shorthanded sailing, high performance, inshore and media/onboard reporting. Similar to traditional ODP camps, they are designed to be intense and focused programs. Visit Oakcliff’s website to apply for the High Performance Acorn Camp or contact Oakcliff Training Program Director Ethan Johnson for more information. Oakcliff Sailing is an adult and youth training center for athletes who have progressed beyond traditional coaching methods and want to take the next step in their career. We offer trainees a proving ground to develop their skills in the three big veins of professional sailing: the America’s Cup, the Olympics, and around-the-world races. Our goal is to take American sailing back to the highest level world-wide.